Toshiba M50-A-11N 4th Gen Gaming Laptop Core i3-4005U Haswell 15.6" 8GB 500GB BT. Toshiba M50 is an ideal combination of stylish design and powerful performance. 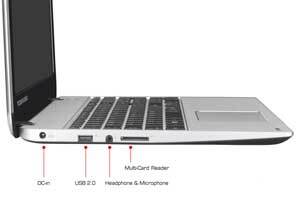 Weighing only 2.1kg and with 21.3mm thickness, it is among some most portable laptops. Featuring high quality audio and HD display it gives you an incredible gaming experience. This practical yet beautiful laptop gives you amazing performance in mobile computing. Toshiba M50 is a perfect laptop with stylish feel and look. Its silver-brushed aluminum chassis with hair line finish gives it an elegant look, while the textured pattern underneath adds in its durability. Work efficiently on its 39.6cm (15.6") display and backlit keyboard that lets you work comfortably even in dim lights. 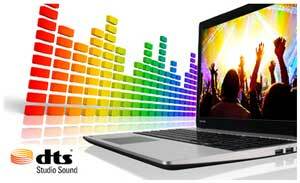 The integrated stereo speakers of Toshiba M50 are fixed below the screen to give you an optimum listening experience. Combined with DTS sound audio enhancement suite these speakers delivers immersive audio with increased definition. Enjoy your favourite movies and songs on high volume with more bass and more dialogue clarity. 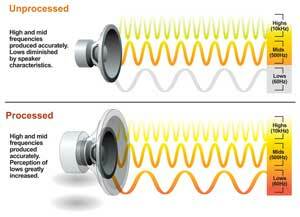 By delivering high frequency audio it ensures a natural listening experience through headphones and speakers both. Enjoy better quality pictures with its 39.6cm (15.6") TruBrite HD display with LED backlighting. It provides you the best viewing experience plus also gives you an ideal web browsing. Equipped with fast RAM it gives you smooth performance in multitasking and high capacity drive lets you store all your media in it. Boost up your computing with Windows 8.1 which is totally reimagined for you. It lets you keep all your favourite apps and sites on start screen so you can have more productivity as more time is spend in working and less time is spend in searching. 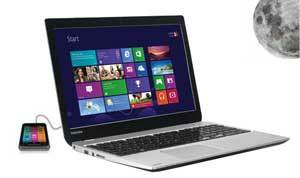 Packed with powerful Intel Core processor Toshiba M50 gives you amazing performance when combined with Windows 8.1. 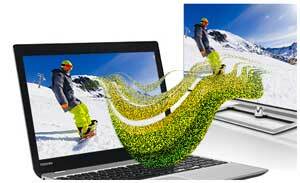 Get faster data transfer with USB 3.0. It gives you ten times faster data transfer rate than USB 2.0. So files which took hours in transferring can be transferred in seconds. It also features Sleep N Charge USB port which lets you charge your devices with laptop even when the laptop is turned off. Toshiba M50 is also equipped with a HDMI port which lets you connect your laptop with AV devices so you can enjoy your media on large screen as well. This super-efficient laptop also allows you to share data wirelessly. Bluetooth 4.0 is ideal for transferring data with compatible devices within range. 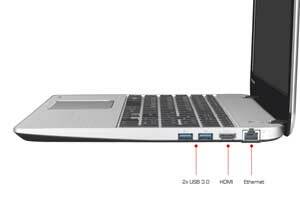 You can connect your laptop with multiple mobile devices and share your data wirelessly using Bluetooth 4.0. You can also enjoy your content on big screen wirelessly with a TV featuring Intel Wireless Display (WiDi) or Miracast technology. Toshiba has designed Eco Utility application so you can control the energy you consume. On activating this mode you can begin power saving immediately. It also displays a chart which tells you how much power you are consuming. Once this eco mode is activated your laptop automatically dims the display brightness and disable LED and keyboard back lighting. With Toshiba M50 take your web chats to the next level. Its HD web cam takes bright and vibrant pictures and lets you enjoy web chats with good picture quality. So connect with your friends and family via web chats which is the next best thing than being there in person.